I just posted yesterday about how I re-read The Secret Agent (unwillingly) a while back & enjoyed it so much more second time around, so I should definitely take a look at this 🙂 You’ve really opened my eyes to how Nemirovsky is so much more than Suite Francaise! Thanks for the lovely burst of the Pistols on a Sunday morning – I need it after catching some of the Eurovision last night! However, I think you would like this – it’s proof that Nemirovsky is much more than Suite Francaise. In a way it’s a shame she’s know for that, an unfinished work (albeit a brilliant piece of writing) when there are so many other strings to her bow. Ooh I love that Everyman edition – and I’m a sucker for collected works. I’ll have to keep an eye out for a copy for myself. 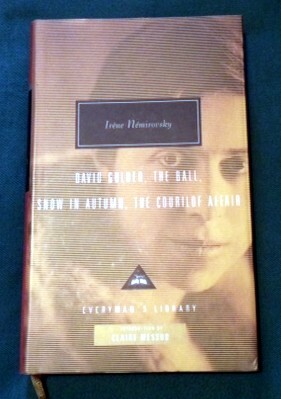 Even my husband is talking about Nemirivsky, and I still haven’t read her. I might like this novella: I recently read Turgenev’s novel about anguished revolutionaries, Virgin Soil. Oh this sounds brilliant. I love the look of that edition of novellas. Will look out for it. It’s a great collection – and I nearly didn’t buy it. I’m so glad I did…..